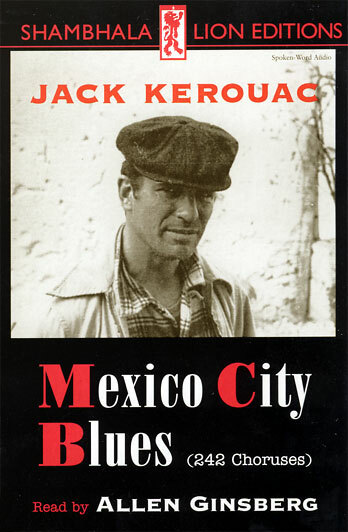 In 1996, Shambhala Publications (for their Shambhala Lion Editions) produced a two-cassette audiobook (that ran for just under three hours) – Allen reading the entire Mexico City Blues. So, a brief shout-out for that Shambhala audio. Hopefully it’ll be back, back in circulation again real soon. found this cassette audiobook a couple weeks ago at a thrift store for $.49. not a big fan of poetry but i am a sucker for some Jack Kerouac.